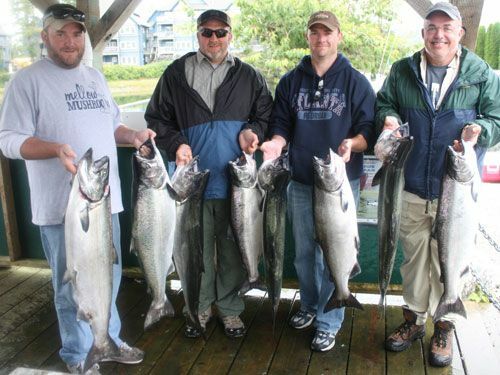 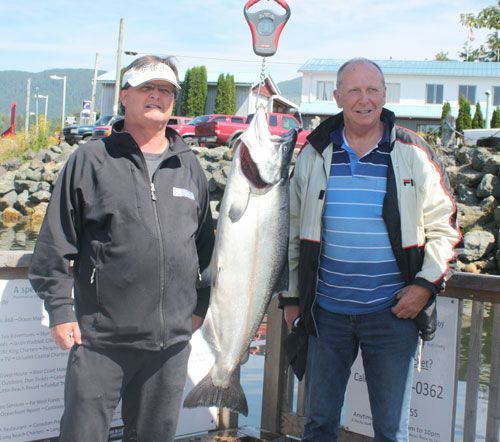 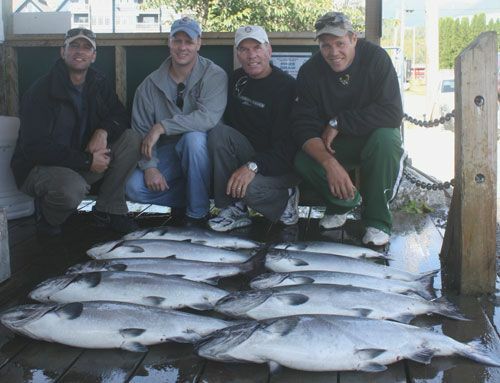 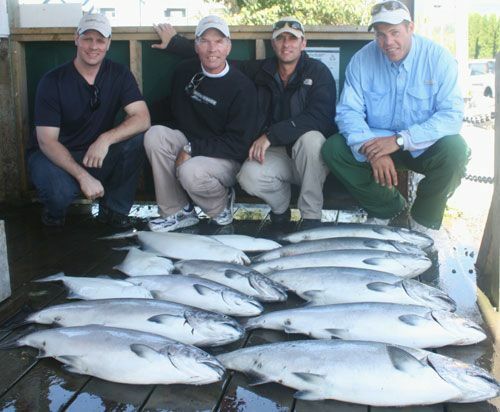 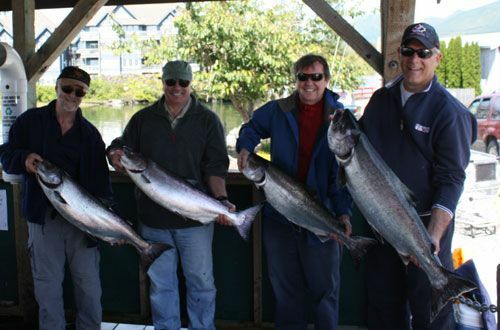 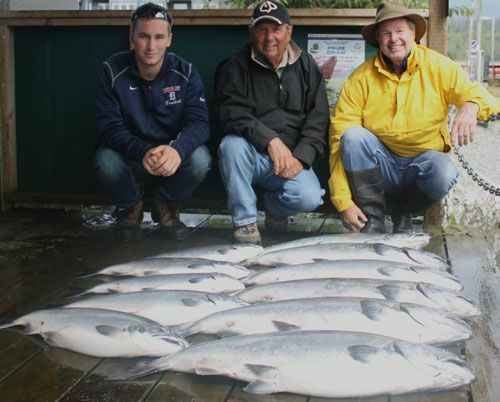 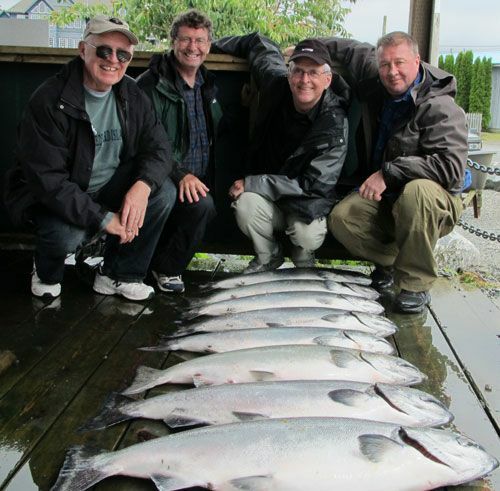 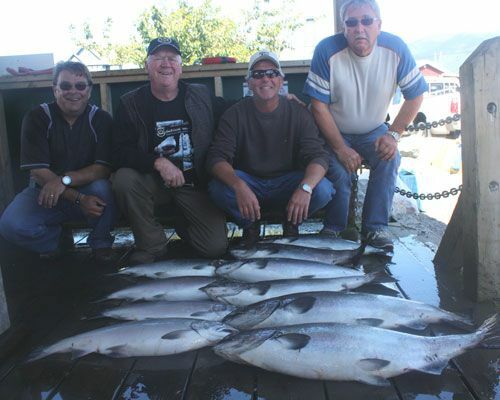 Frank Cerney and Cees Schep August 26,2011 with a 40lb 5 oz Chinook being weighed into the salmon derby. 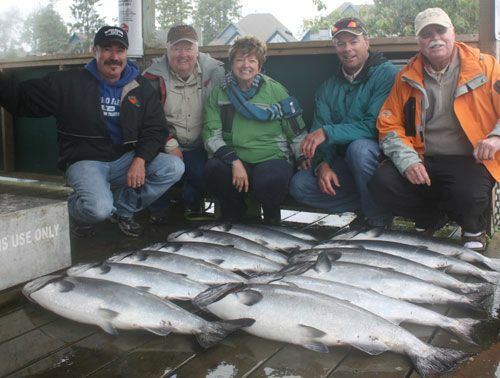 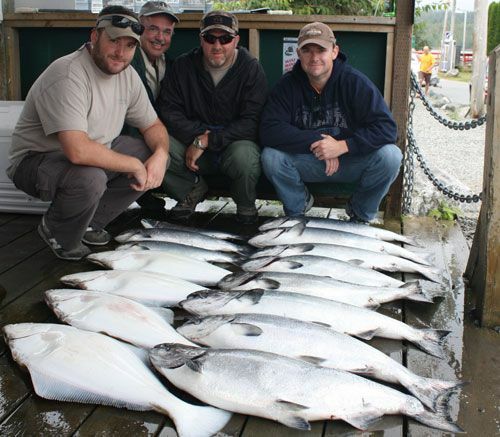 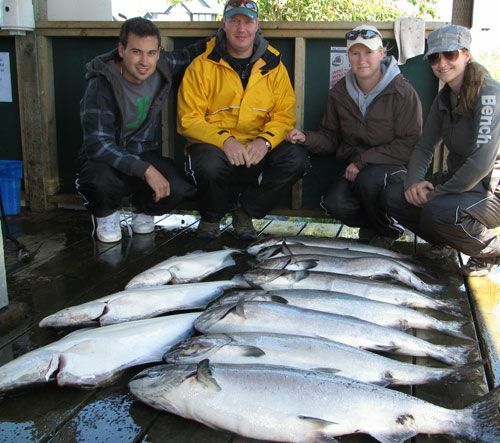 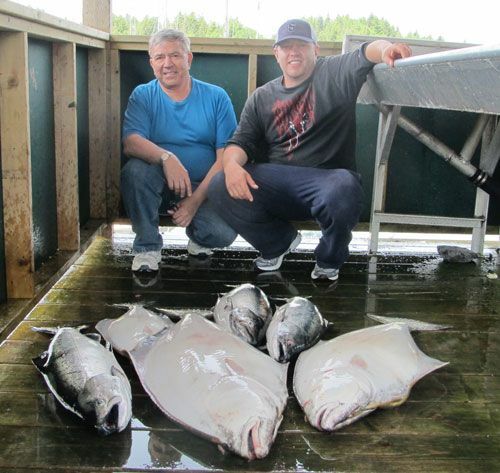 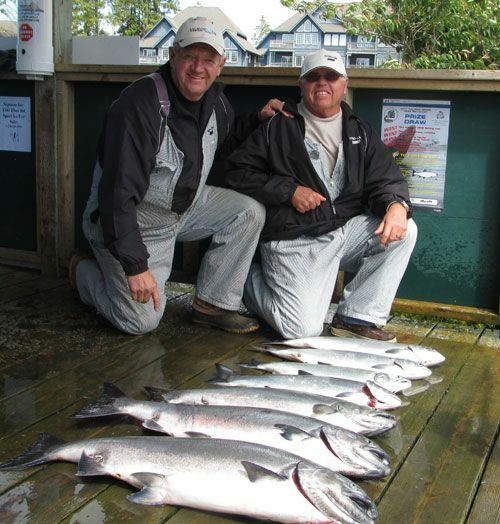 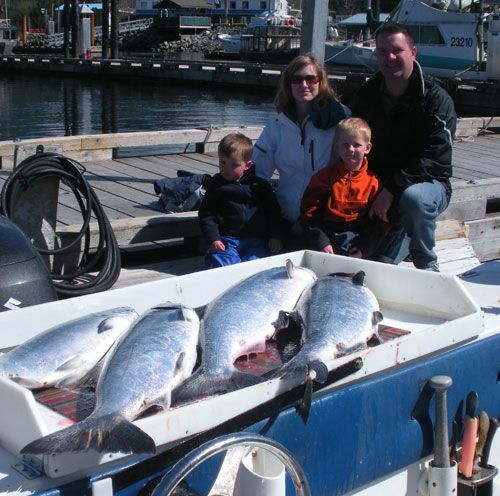 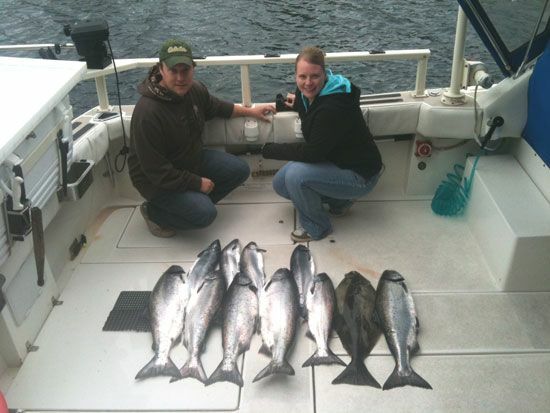 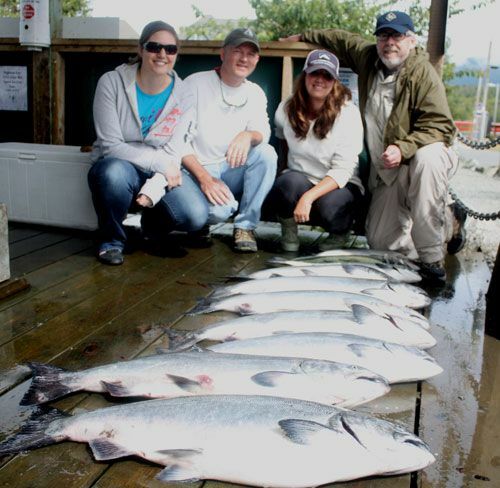 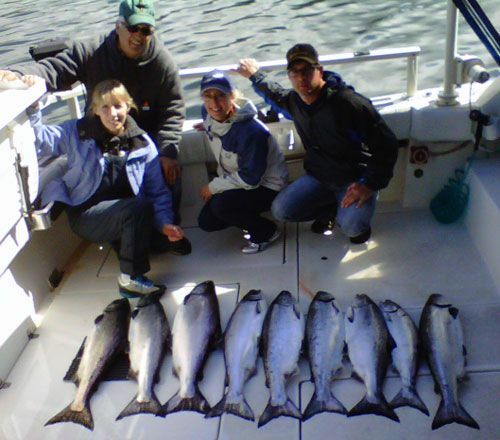 Garth MacFarlane with Guide Sam Vandervalk July 20 with a Chinook that took 4th place in the Salmon Ladder Derby at 35 lbs 11 oz..
Chad and Sarah Trembath June 4, 2011 with 4 Chinook, 2 Coho and 2 Halibut. 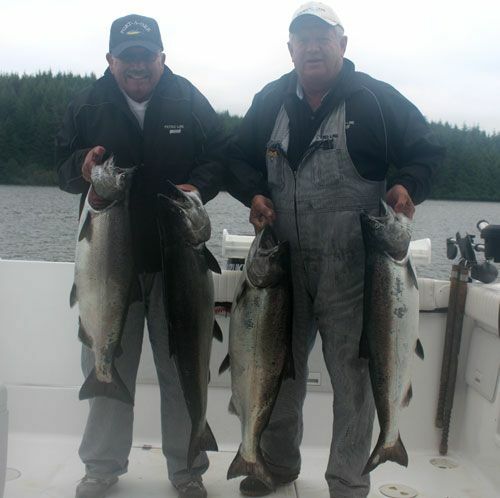 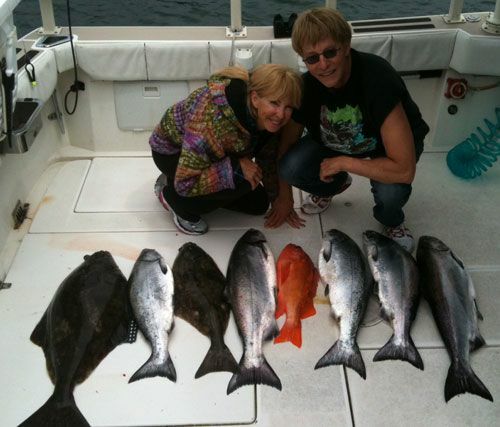 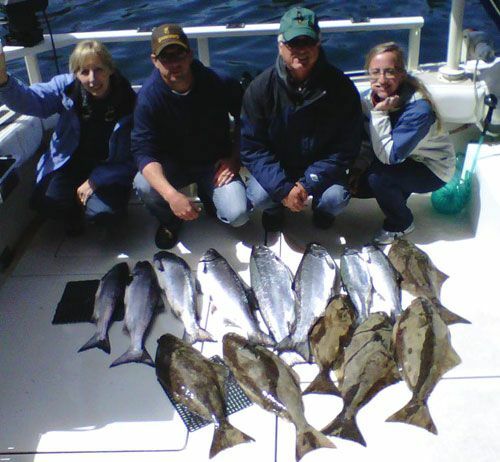 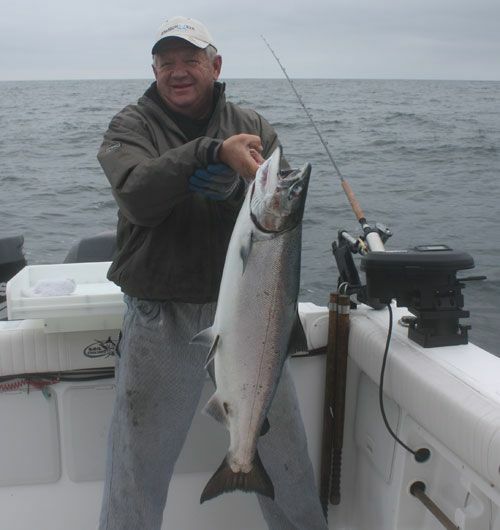 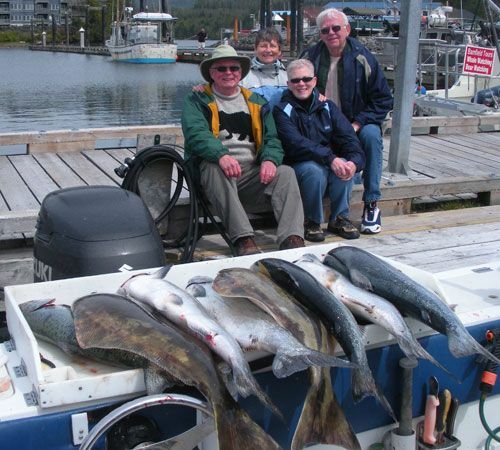 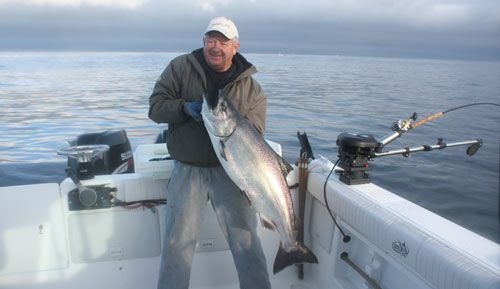 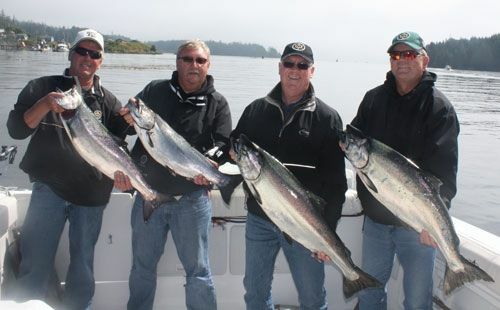 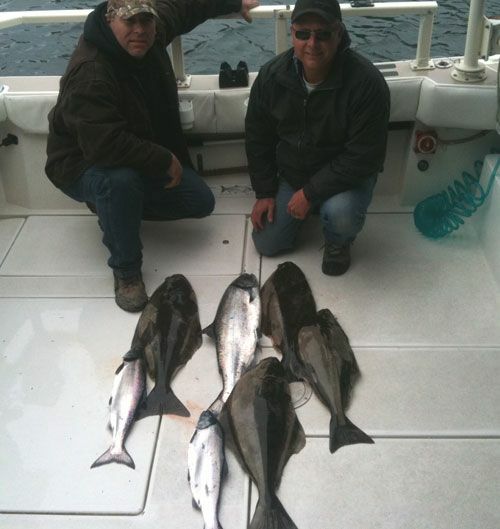 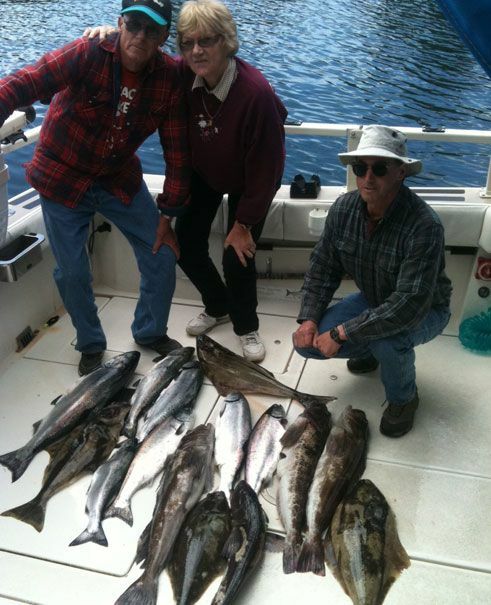 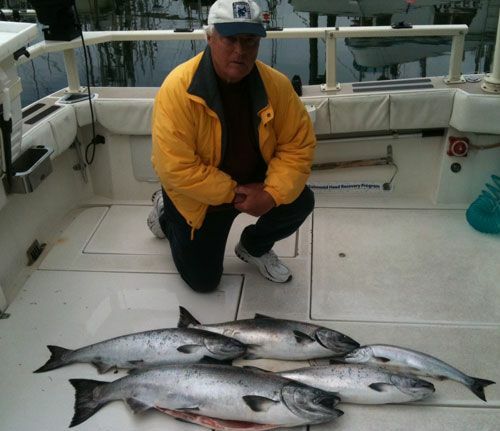 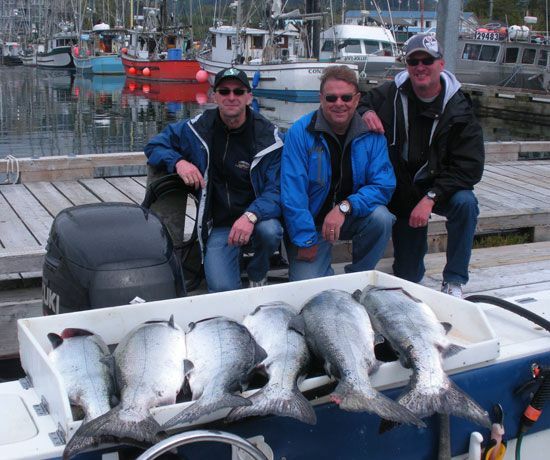 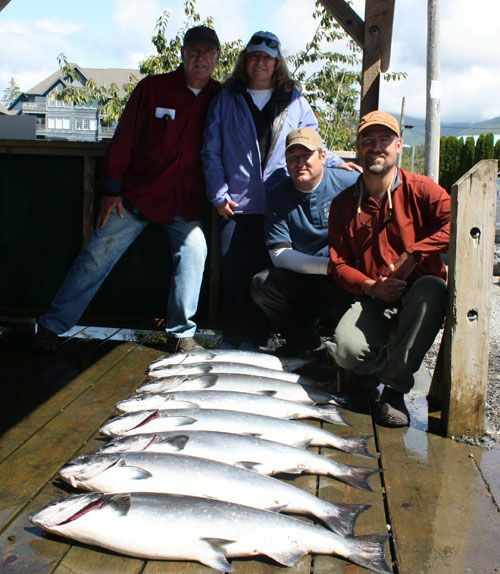 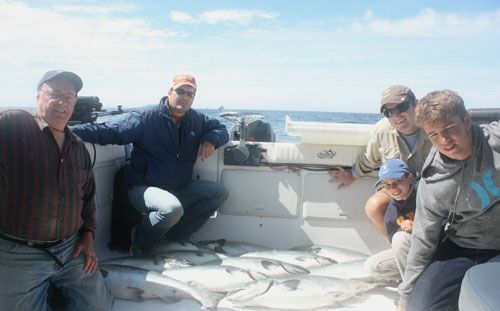 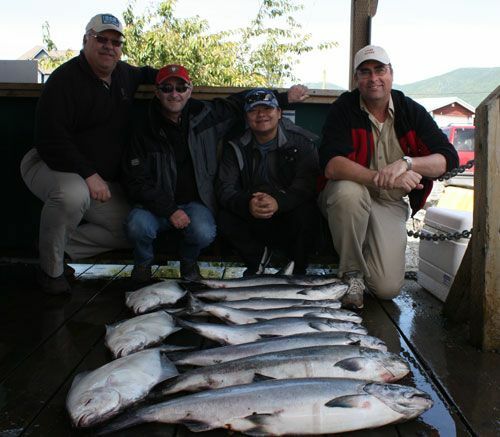 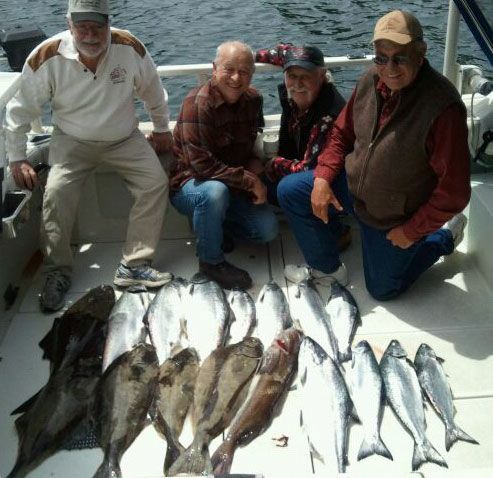 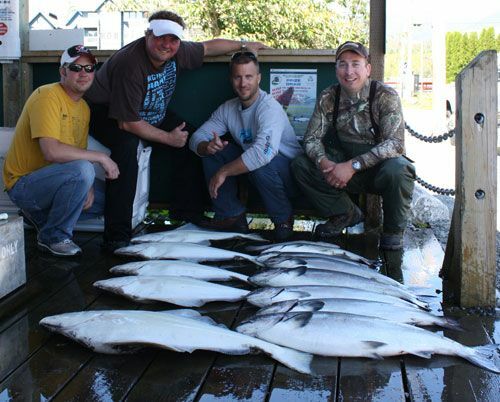 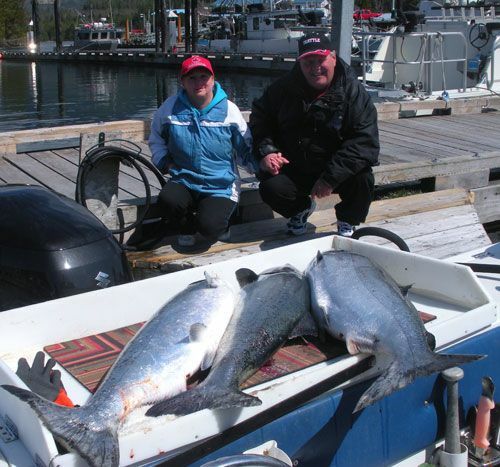 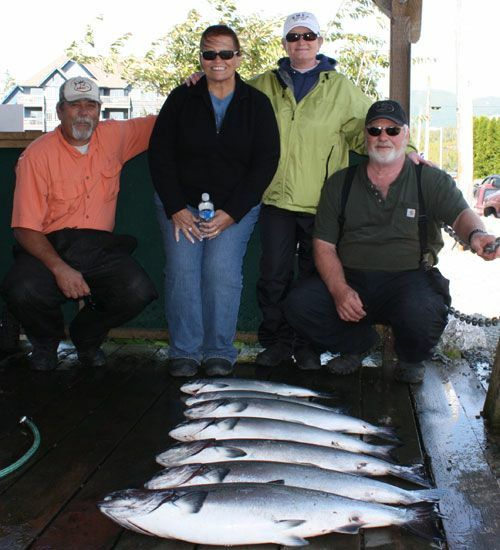 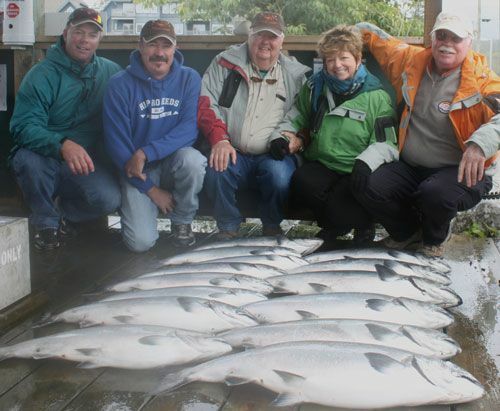 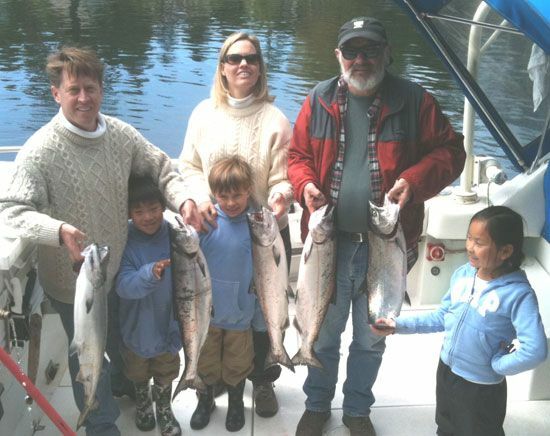 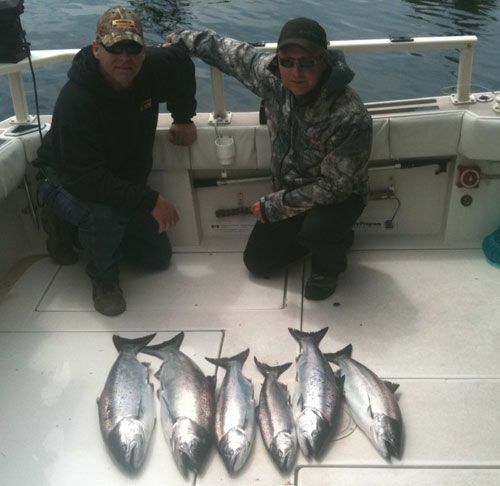 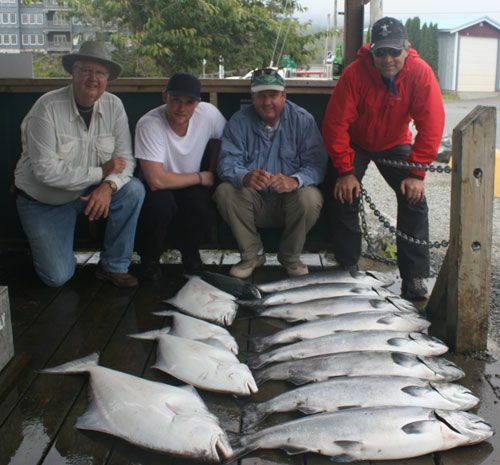 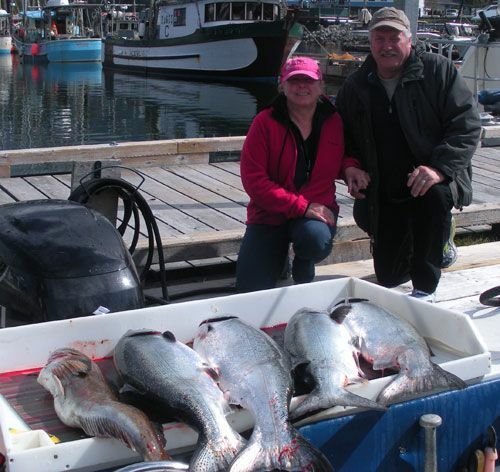 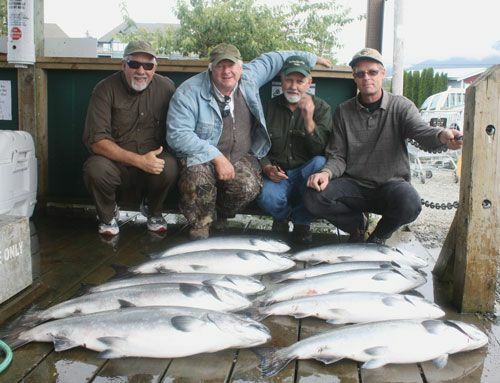 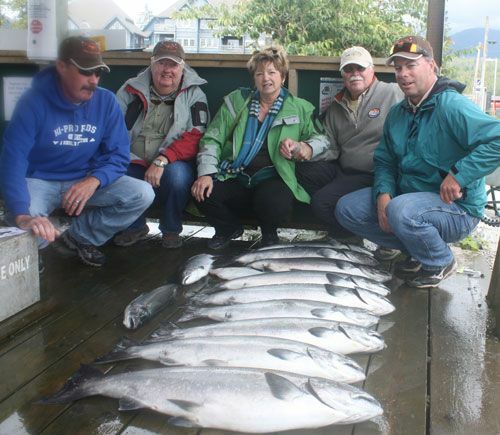 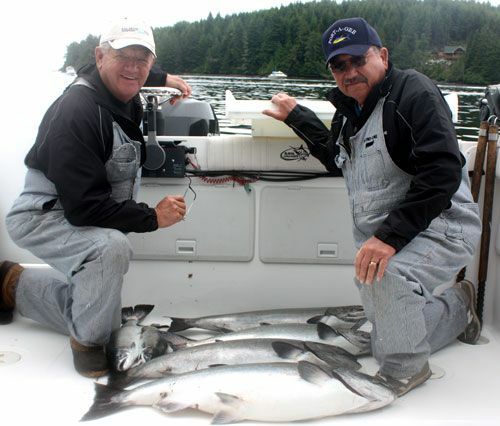 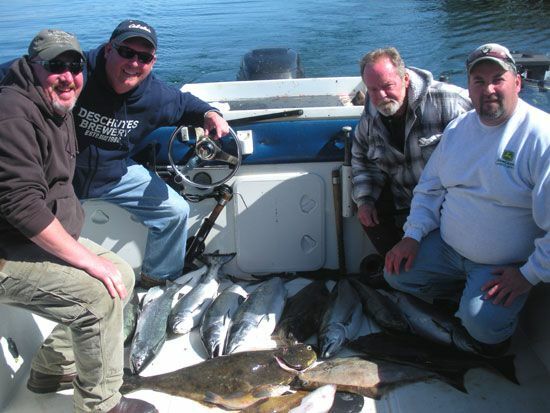 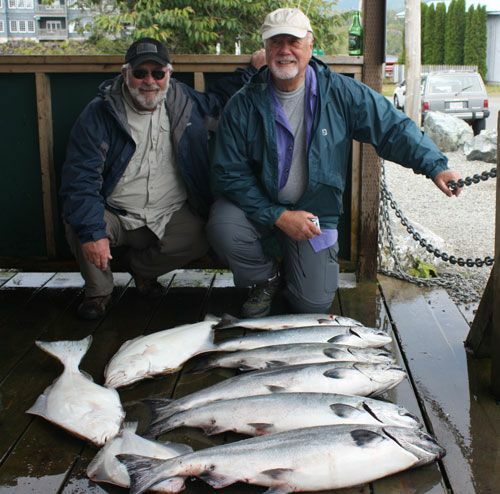 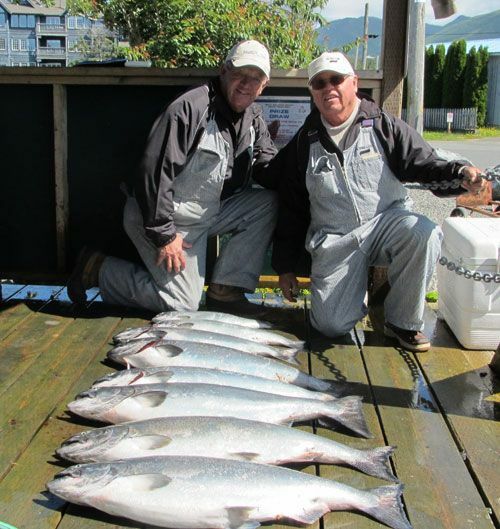 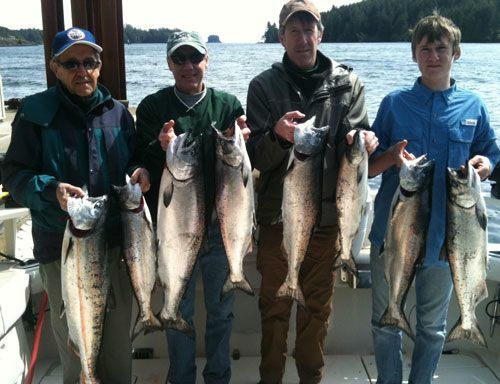 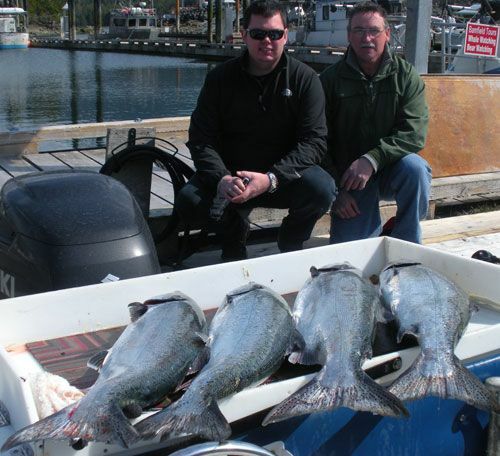 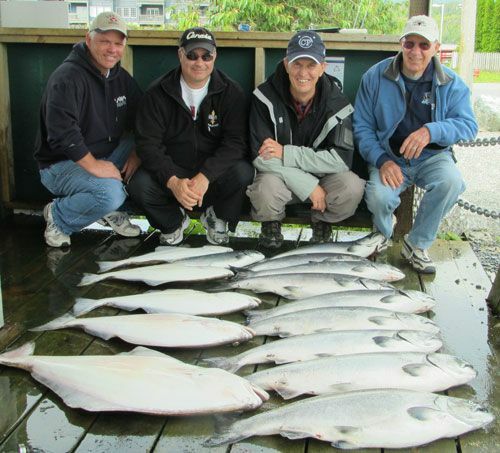 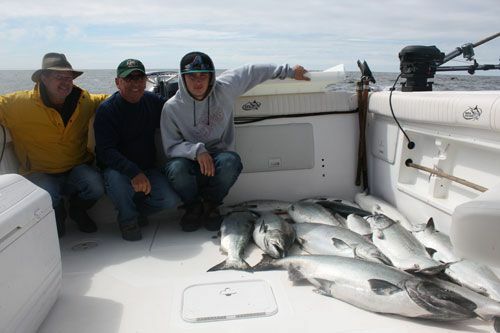 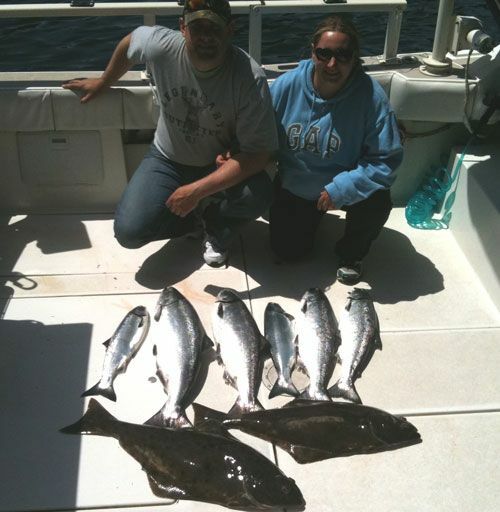 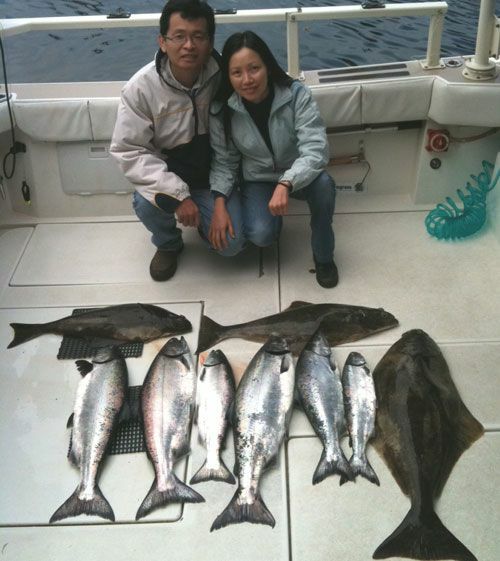 Ed Stinnissen and Vic June 12, 2011 finishing off their limit of Chinook, Coho and Halibut for their three day trip. 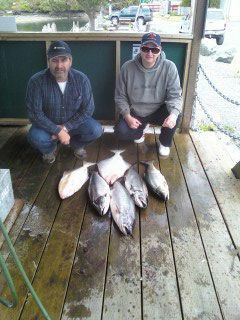 Gerry Wood June 23, 2011. 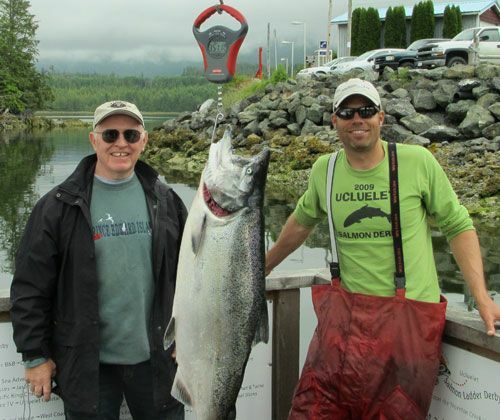 Biggest was 27lbs. 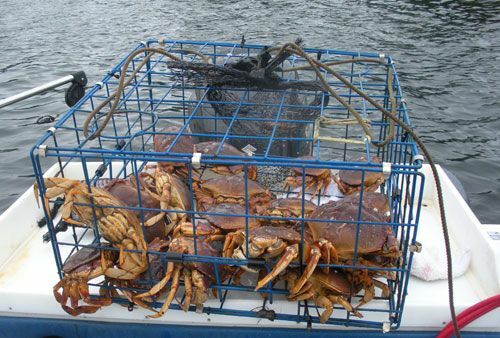 Crabbing is good this time of year!